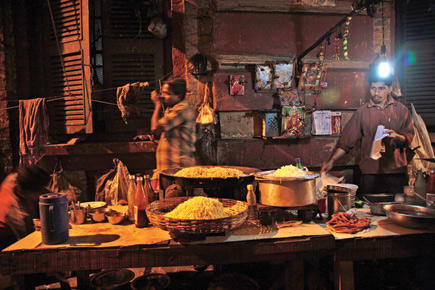 If it is street food you are looking for, Kolkata is the place to be. Once the city of just jhal muri, phuchka, singara, kachauri and telebhaja, street food graduated to hot kathi rolls and mughlai paratha in the 1960s. Sometime during the 1980s, chowmein turned into a favourite street food with kiosks and carts mushrooming in nearly every locality. Around that time, Kolkata adopted pau bhaji, a favourite Maharashtrian dish that is extremely popular in Mumbai. As influx of migrant population increased, pice hotels sprung up, serving maach-bhaat (fish and rice) around various localities. The substantial meal is still sold at extremely affordable rates ranging from Rs 10 to Rs 15. Around the same time, south Indian fare comprising dosa, idli and vada became popular. These were followed by chana-bhatura and kulcha-chana. At the turn of the millennium, more exotic dishes were added to the street food platter. 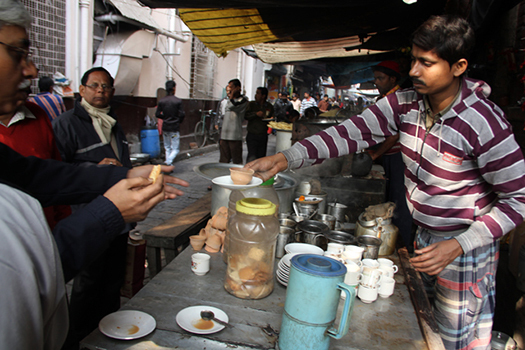 Momo and thupka are now a major hit and sold on streets across the city. Biryani, that was available only in restaurants, has also become a regular street fare, particularly in office localities. While one can taste these delectable dishes all over the city, the kiosks along Decker's Lane is the ultimate destination for foodies. Located smack in the middle of the Dalhousie area, one can bite into a myriad variety of dishes – chicken cutlet, fish fry, fish roll, mutton/chicken/vegetable stew, ghugni, chowmein, fried rice, chilly/schezwan/garlic chicken, luchi/puri sabzi, chana-bhatura, kulcha-chana, momo, biryani, a wide range of sweets, lassi, firni and lots more. Just in case, there is doubt about the quality of food, the World Health Organization has, in a survey, certified the food sold on Decker's Lane in Kolkata as among the best street food available anywhere.